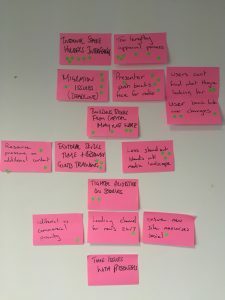 Earlier this year I was invited by Jonathan Kahn over at Together London to speak at his annual Agile Content Conference at Sadler’s Wells, London. 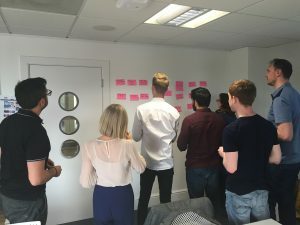 This is a fantastic event looking at all aspects of agile content and it was a real pleasure to mix with content strategists working across a broad range of disciplines. You can watch all the presenters from the event here. 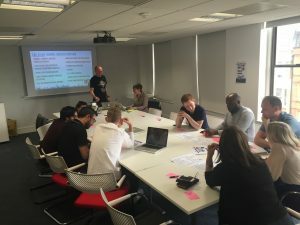 I was recently asked to deliver a content strategy workshop for a gathering of small charities to help them ‘Create Amazing Content’ with limited resource. 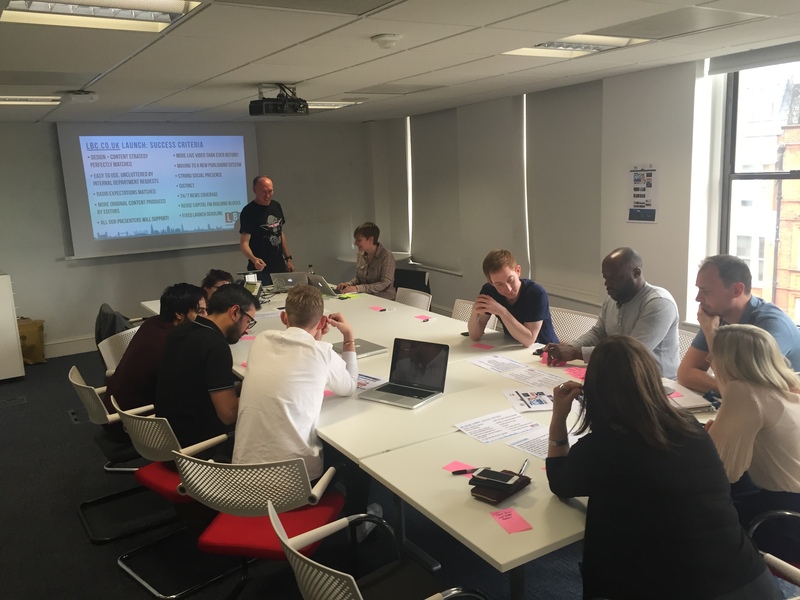 Building the workshop required quite a bit of research and was a fantastic opportunity to explore some of the challenges faced by the sector in, not only creating effective websites, but also persuading audiences to take a specific action. 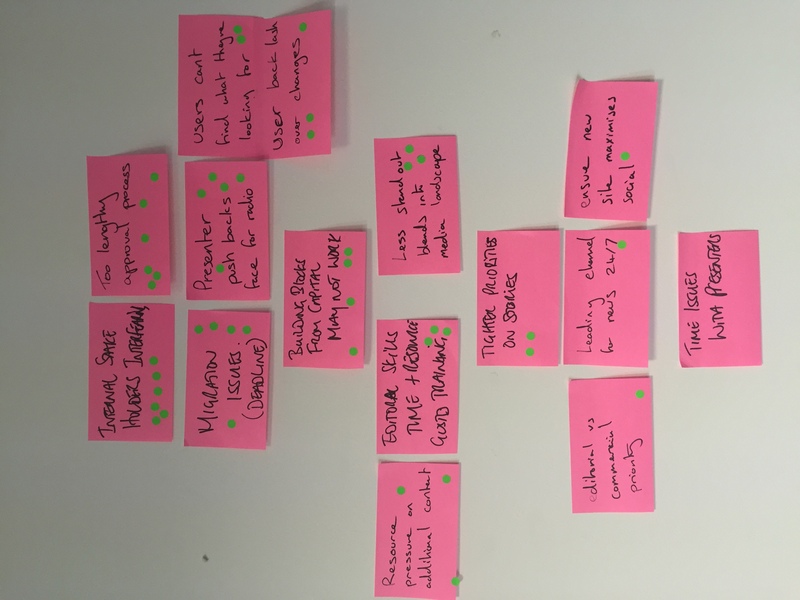 I thought I’d highlight some of the articles I’d read to build the workshop – there really is some brilliant work being done out there by various charity digital teams. I salute you all. My research into the charity sector soon became a study of the art of persuasion, how we can use content to influence and activate a passive audience. There are loads of great articles online about persuasion but I found the article by CopyBlogger and Hillary Skeffington of particular interest. I also found the notion of demonstrating impact pretty central to your purpose as a charity. This might sound obvious, but I found many charity websites ‘explained the need’ (i.e. why you should donate) but then forgot to spell out the impact they were making. I must then absolutely recommend this article by Paull Young from Charity:Water. Read the article and then explore their website – loads of great examples of best practice there. Staying with Charity:Water there was also this article looking at how Charity:Water value trust – an important commodity in our world of FAKE NEWS. 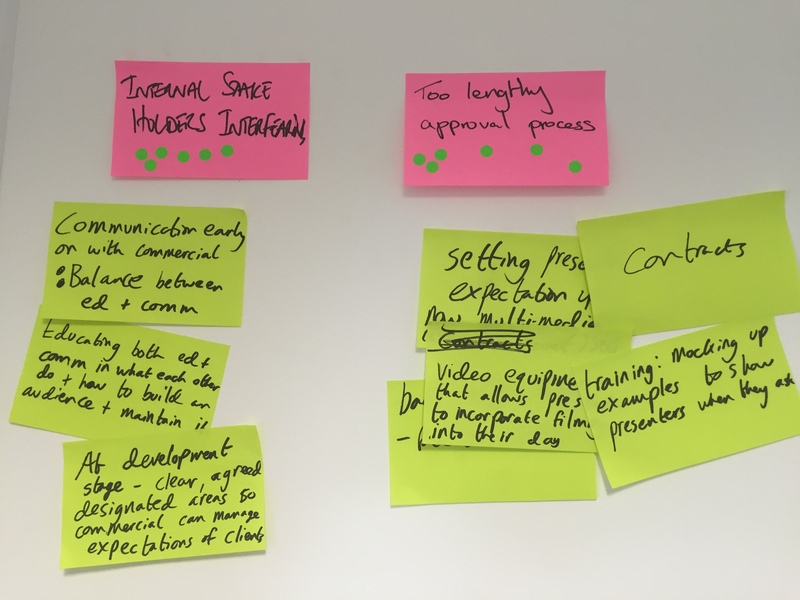 Lastly, here’s some useful resources for any nonprofit organisation looking to make improvements to their digital offering. From SEO to various case studies, I hope these help anyone researching into this sector. How important are images in connecting your charity? 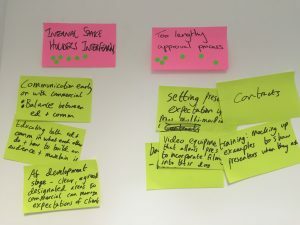 So there you have it, a brief skim through some of the charity content strategy articles I found over the past few weeks. Let me know if you have other resources you’d like to share in the comments below! A great insight into FB distribution strategy at the Guardian. And if you like that, find out what Buzzed are up to in the video space as well. Time online is back people! Interesting to see how Mic is choosing the comedy format to increase reach amongst the millennials. Again, it’s an example of a team that has been given the freedom to experiment. Great starter-guide for approaching community journalism in your newsroom. Hi Gang! I’ve just spent a delightful couple of weeks restoring my blog after meddling with the database too often. Lesson learnt. Moving forward I’ll aim to curate a list of my most interesting content strategy reads this week. Some interesting tips here for how to social your audio and engage your community between episodes. And if you haven’t read about that NPR audio experiment here you are. Nice infographic here of the Buzzed distribution strategy. Now presented in a million strategy presentations around the world. I thought this was a really good resource for journalists. From beginner to intermediate level. Although I do have to admit that my most interesting read has been this bad boy. 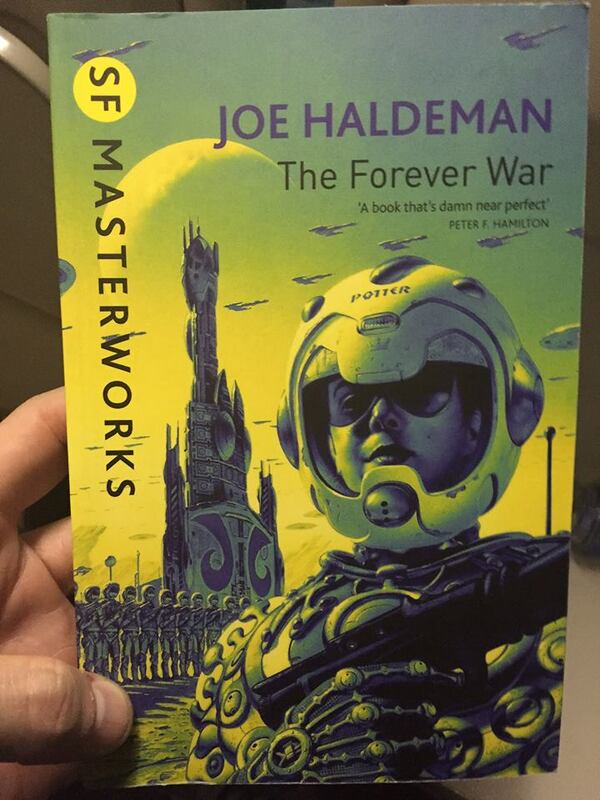 Probably the best sci-fi book I’ve ever read. Individual: Here’s a random photo of a person and answer the following – what’s his/her name?, What do they most regret? Who do they hate? What stops them sleeping at night? Group: Flesh out your characters further with some inspiring ‘props’ (a series of envelopes with random objects e.g. a dollar note etc). What is the connection between the objects and the character? Apart from being fun session (I rarely go to creative writing sessions) I found the techniques above really focused the mind around what the character thought and felt in a moment in time. The six minute stream-of-conscious approach was also good at fleshing out aspects that might have been easily deleted in the writing process. You can see how this might be useful in persona-building activities and is certainly something I’d consider with my own team. However, I would have to be careful not to conflate an entirely fictitious character with a user: personas do have a habit of taking on a life of their own. But as a quick exercise to really engage a team around a topic/challenge, this was really fun exercise to explore. You know the drill by now folks. Here’s my best reads from the last week or so. Enjoy and have a fantastic Christmas and New Year. See you all in 2015! “…news outlets will have to do more than merely report what’s going on. Journalists will have the added responsibility of giving people a pathway to act, to improve their lives and the lives of others. “It could simply be, then, that the seeming disparity between the equal amount of women and men who have access to connected devices and the fact that men actually consume more news on those types of devices could be explained by the following statement: Women in the UK prefer to discover their news through social means, and certain types of digital content (that of BuzzFeed and Upworthy etc.) are simply more shareable than others.